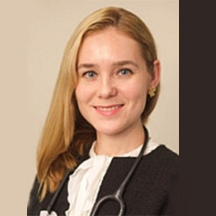 Dr. Elena Frid is a board-certified neurologist, neurophysiologist, and ILADS member who specializes in the care of children and adults with autoimmune disorders and infectious processes, especially Lyme disease. Inspired by her own children, she has also developed a protective clothing line to keep them safe while playing outdoors. Recently, Lyme Connection newsletter editor Janet Jemmott spoke with her in the New York City office where she is the medical director. How did you become interested in infections induced autoimmune syndromes? In my residency and fellowship training program, we were introduced to a number of autoimmune disorders including limbic encephalitis and various types of neuropathies, and this piqued my interest. Then, shortly after I established my private practice, I was exposed to patients who did not fit into a purely psychiatric or a specific neurologic diagnosis. I started working closely with these patients, often learning from them about various workups and treatments they had undergone. Many of them mentioned Lyme disease and brought in articles and talked about organizations such as International Lyme and Associated Diseases Society (ILADS). After I attended a few conferences it became clear to me that there is an association between infections and neuro-developmental, neuropsychiatric, and in some instances, neurodegenerative conditions. It was clear that in many of the patients I was seeing, infections, inflammation, and autoimmune processes were the trigger to their neurologic syndrome and clinical presentation. If a patient comes in to see you and you suspect they have an infection or multiple infections that have induced some kind of autoimmune syndrome, Lupus or MS or Chronic Fatigue Syndrome – how do you determine, one, that they have an ongoing infection and if they have an autoimmune syndrome? I rely on detailed history taking, physical exam findings, extensive blood testing, which may include some specialty labs, imaging studies such as MRIs and brain SPECT, and other diagnostic tools including Electroencephalogram (EEG), Nerve conduction studies/Electromyography (NCV/EMG), Lumbar puncture (LP), neurocognitive assessment and others depending on clinical presentation. So the testing provides you with the background. The testing, say for Borrelia, is at this point still inconclusive. So, is it a matter of taking the lab work results and adding the clinical picture to it – that is, what you can get from the patient’s history? That’s exactly right. To this day, neurology is one of the few subspecialties in medicine that still very heavily relies on clinical exam and history taking. Therefore, a lot of the tools we have, such as an EEG, MRI, or a nerve conduction study are used as an extension of one’s clinical exam. I start with extensive blood work, including checking for infectious, inflammatory, and autoimmune processes. To test for certain infections and autoimmune disorders I often use specialty labs and other neurologic testing. Once we obtain those results, I have a better understanding of the pathophysiology of the patient’s clinical presentation. I start treating their infections and when appropriate, their autoimmune disorders as well. Okay. So can an autoimmune process be halted or reversed even? Does that require treatment with IVIG? Not always. In some cases, the autoimmune response will subside by treating the underlying disease process, such as an infection. It really depends on the person’s genetic makeup and genetic predisposition to autoimmune disorders. Many patients will need three to six months to respond to treatment. Beyond that, rechecking their clinical status, infections, and autoimmune process is appropriate, and perhaps, changing their treatment strategy. Say someone’s diagnosed with multiple sclerosis, does that mean that the disease process has really advanced; are you able to back up from there? So, the question is, is an MS type presentation of Lyme disease reversible? Right. It depends on the patient. It depends on their clinical exam. Does the patient have any good days? Do they have any time in the day or the week when they feel close to 100 percent normal? If the answer to that is yes, it speaks to the reversibility of the disease process. That’s an important piece of history that I always talk about with patients. Can you explain how an infection triggers a neurological process, say encephalitis? In my opinion, there are three steps. One, is the direct extension of the infection into the nervous system, because of a break in the blood-brain barrier. Second, there is an inflammatory response. And third, there is an autoimmune phenomenon, which is when your own body is creating antibodies against itself due to molecular mimicry. Think about where most of our DNA came from. Parts of our DNA are similar to infectious agents that we come in contact with regularly, so they’ve been incorporated into our DNA. When someone gets exposed to an infection that already makes up a significant portion of their DNA, that infection can trigger an autoimmune response in some patients. Can tick-borne infections other than Borrelia – say Babesia, Anaplasma, Ehrlichia - can they also infect the brain in a similar way? Absolutely. Not only that. We know about Streptococcal infections causing neurologic issues. For example: Pediatric Autoimmune Neuropsychiatric Disorders Associated with Streptococcal Infections (PANDAS), Pediatric Autoimmune Neuropsychiatric Disorder (PANS) or Sydenham's Chorea. Syphilis, caused by a spirochete similar to Borrelia burgdorfi, also causes a lot of neurologic manifestations.Changing topics for a moment. The Washington Post published an article in June that was a one-sided and incomplete story on the damage IV antibiotics cause – how do Lyme patients push back against this? I think Lyme patients can help educate the medical community. When a patient is successfully treated, they should go back to their physicians and let them know what it took to get back on their feet. Those who are continuing to struggle and have physicians who are willing to explore various diagnoses can bring them medical literature and articles like this one or encourage their doctor to attend conference such as the annual ILADS symposium. There are doctors who are saying: You got a tick bite; I’m going to give you a single dose of 200 mg. doxycycline. That will be prophylaxis. And you’ll be fine. How do we arm people with facts so they can say, that’s not enough. According to ILADS guidelines, a person who has had a tick bite - especially in an endemic area - should be treated for three to six weeks. If they continue to exhibit symptoms, they can be treated longer. In certain parts of Connecticut for example, when the tick population was monitored, up to 90% of ticks carried tick-borne diseases that could be transmitted to you or your pet. With that being said, people who work or play outdoors need to realize the threat of Lyme disease and dress appropriately. Wear long-sleeve shirts, socks, light-colored clothing and closed-toe shoes. In fact, I’ve created a product to protect my own kids, DrFridKidswear, that is pretreated with insect repellent. This is the most effective way to protect your kids against bites from disease carrying insects. You should also be aware of the protocol if you spot a tick on your body, but realize that up to 50% of people never detect a tick bite prior to the onset of their symptoms. The current literature says to be prone to Lyme disease, a tick has to be attached to an individual for 48 to 72 hours — that is incorrect. Again, those who have detected a tick bite, especially in endemic areas, should begin a proper course of treatment without waiting for specific symptoms like a bulls-eye rash. Recently a friend had a tick bite, so she called the doctor who said he would give her a single dose of doxycycline. But when she told him it was three days after the bite he would not treat her since she didn’t have acute symptoms. Incubation period for Borrelia burgdorferi bacteria is typically three to thirty days. Therefore, symptom onset can be delayed and often waxes and wanes. Having said that, both patients and physicians should be vigilant of vague or odd symptomatology that continues to recur. Now-a-days, especially in endemic areas, tick bites should be treated.Which is certainly worth the cost if you look at the long course of Lyme disease. Completely agree! What happens if you have a repeat exposure? In my clinical practice, I find that those patients with complicated presentations of neurologic Lyme are those patients who have a long history of re-exposure. Typically it’s not just the one tick bite that causes these daunting symptoms. In the case of someone who, over 30 years, has had half-a-dozen tick bites with known reactions, sometimes has been treated, sometimes not, but now has a multitude of symptoms because over time it has progressed. How do you treat a patient like that? Because there are so many co-infections, can you always identify them? No. But that’s why you repeat testing regularly, every three to six months or with any significant change in patient’s clinical presentation. If a patient is doing extremely well, that’s your marker to take them off antibiotics but you want to make sure their blood work is looking good. If a patient’s doing poorly, you want to see if there are co-infections that weren’t identified the first time, potentially because their immune system wasn’t strong enough to mount an immune response against them. When you start treating them and they’re into their treatment protocol, then their immune system is stronger and you can see more of the antibodies that are developing, and that can steer you in the direction of how to treat them. Another possibility is that they’ve acquired another illness, either another tick bite or another common infection, like a respiratory infection that’s not clearing, that needs to be addressed as well.Do you treat with eastern as well as western modalities? I think there’s a role for eastern modalities; I don’t think it’s for everyone. I honestly think that the time to worry about your health is when you’re healthy. Healthy eating, supplementing with herbs, and healthy lifestyle can be very good for everybody. I don’t necessarily expect that just because someone changes their diet they can be cured of symptoms of ALS, MS, or severe neurological Lyme symptoms. Do you have any words of advice for the people in the Lyme community who are struggling, since the testing is not always adequate and the medical community is not always on-board for accepting and treating chronic Lyme. What do people do? Educating oneself is key. Knowledge is power. There is more interest now in trying to understand Lyme disease and autoimmune disorders. More and more information is coming out about complex presentations and the need for better testing and treatment. Change is coming! For those who are in the midst of a struggle and are not getting better – explore the autoimmune component of the disease pathophysiology, as it may be the key to getting you better. So do you see the medical community as on the edge, teetering into acceptance? That’s an overstatement. I think we’ve made some baby steps in the right direction. The Lyme community’s outcries are being heard and there are some big name institutions that are sponsoring research, as well as not-for-profit organizations such as ProjectLyme and the BLAST program that are raising awareness and educating on prevention. Also, Global Lyme Alliance is working to fund research for better testing and treatment options. 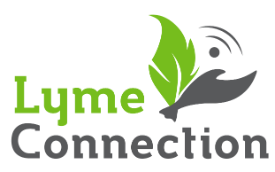 Lymedisease.org is collecting big data on the Lyme community and that will also help propel Lyme research forward. For more information about Dr. Frid, check her website. You can also follow her on Instagram @drelenafrid, Facebook @drelenafrid, Twitter @ElenaFridMD, and YouTube - Lyme Talk with Dr. Frid. Her insect repellent clothing line for children is DrFrid Kidswear.